Lecturer at UC Berkely's Haas School of Business, author of Practical Wisdom, & one of TED’s most popular speakers. 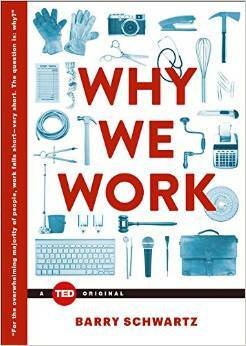 Based on Barry's latest TED Talk and new book, Why We Work, Barry presents an eye-opening, groundbreaking tour of the purpose of work in our lives, showing how work operates in our culture and how you can find your own path to happiness in the workplace. The international financial crisis of the last two years has vividly illustrated how,when things go wrong, people are quick to reach for two tools to fix them: more and better rules, and smarter incentives. This talk will show that neither rules nor incentives are adequate substitutes for character. To induce people to do the right thing, we need to figure out how to get them to want to do the right thing. Rules and incentives may make things better in the short run. But they make things worse in the long run, by demoralizing activities and demoralizing the people who engage in the activities. The task before us—in finance, in education, in medicine, in law, and in virtually any occupation that involves human interaction—is to find ways to nurture character rather than destroying it. When our institutions fail to give us what we need and expect, we reach for two tools to try to fix them. We develop rules and standard operating procedures ("sticks") to force people to do the right thing, and incentives ("carrots") to entice them to do the right thing. Both strategies are evident throughout the educational system as the demand for "accountability" grows ever more insistent. In this talk, I will argue that neither does the job. What we need instead of rules and incentives is character—virtue. We need people who want to do the right thing because it's the right thing. 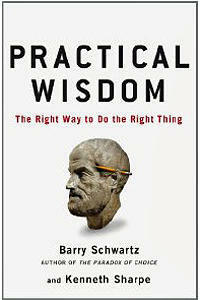 And most especially, we need the virtue that Aristotle called "practical wisdom." Moreover, the more we rely on rules and incentives, the more we drive wise practices and wise people out of education. Our task is to find ways to nurture practical wisdom; instead we are destroying it. The logic behind the presumption that if some choice is good, more choice is better seems compelling. But in his ground breaking work, Barry Schwartz has found evidence that there can be too much of a good thing-that a point can be reached at which options paralyze rather than liberate. From consumer products, to Medicare prescription drug plans, media choices, travel options and even financial services, Schwartz' research has shown that when confronted with overwhelming choices the vast majority of us will either end up unhappy with the choice we make, or choose to not make a choice at all. The new Medicare prescription drug plan will save senior citizens billions of dollars, so why are so many of them afraid to sign up for it? There is now ample evidence that when you increase choice by offering more and more options, a point is reached at which paralysis rather than "freedom" is the result. A central aim of public policy in a democratic society should be improving the welfare of its citizens. Even when resources are plentiful, this is an extremely challenging task, because of the difficulty of determining what "welfare" consists in. Thus, collective welfare requires freedom, freedom entails choice, and choice is enhanced by wealth. The more choice people have, the better. But though the logic of choice may be compelling, there is growing evidence that the psycho logic is not. Indeed, there is growing evidence that for many people, increased choice produces decreases in satisfaction-sometimes even misery; that it sometimes produces paralysis, not liberation. Both Colleges and the students in them are afflicted with choice overload. Colleges torture themselves and millions of high school students trying to select the very best applicants. Students torture themselves trying to select the best colleges. And once they're in college, and offered almost no guidance about what to study, students are lost in an ocean of course possibilities. Students are less satisfied with their experiences than they should be, and completely uncertain about what their future should be. All of this misery is produced in the name of "freedom" and "excellence." It is wasteful of time and energy and it can and should be fixed. 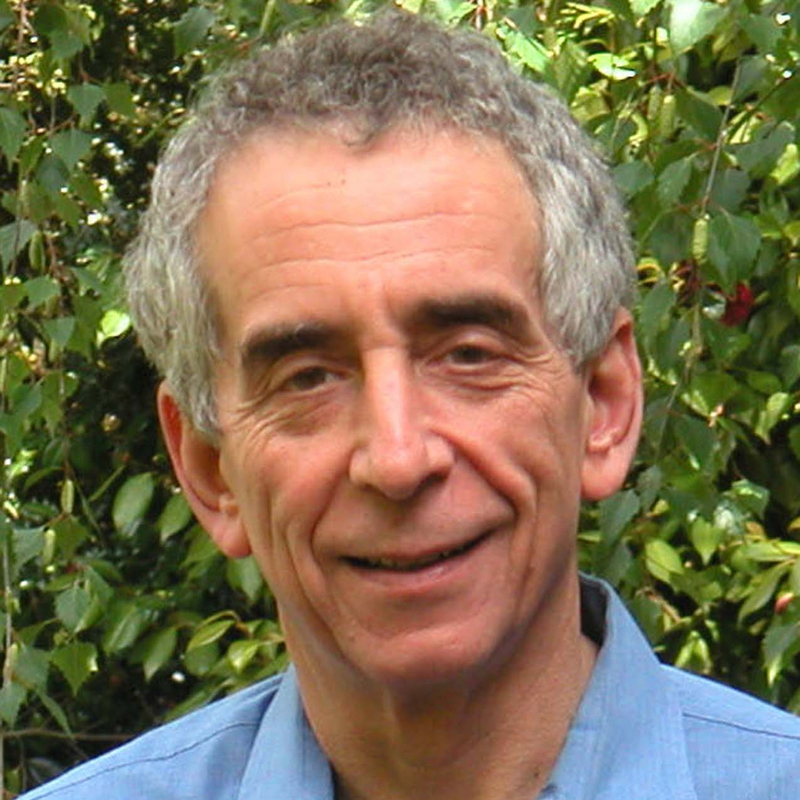 Barry Schwartz studies the link between economics and psychology, offering startling insights into modern life. He is the author of many books, including Why We Work (2015), an eye-opening, groundbreaking tour of the purpose of work in our lives, showing how work operates in our culture and how you can find your own path to happiness in the workplace, and Practical Wisdom: The Right Way to Do the Right Thing (2011), a reasoned and urgent call to embrace and protect the essential human quality that has been drummed out of our lives: wisdom. 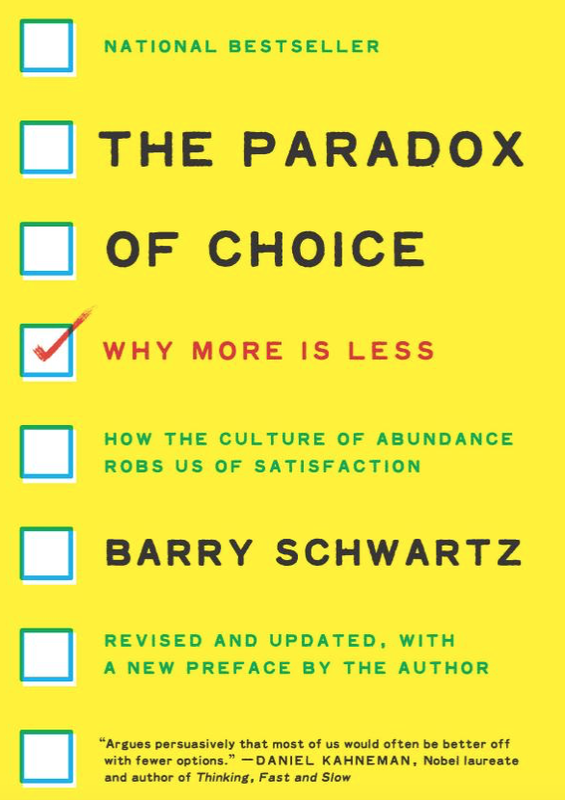 In 2005, Barry published The Paradox of Choice: Why More Is Less. The message of the book is that too many choices can paralyze people into inaction and cause them to be dissatisfied with even good decisions. It was named one of the top business books of the year by both Business Week and Forbes Magazine, and has been translated into fourteen languages. Barry is currently a lecturer at UC Berkely's Haas School of Business, and previously served as a visiting professor for NYU's Stern School of Business. He is also the Dorwin Cartwright Professor of Social Theory and Social Action at Swarthmore College, in Pennsylvania. He has been there since receiving his Ph.D. from the University of Pennsylvania in 1971. He has published over 10 books and more than 100 articles for professional journals. His work has been supported by grants from the National Science Foundation, The Alfred P. Sloan Foundation, and the MacArthur Foundation. He is a fellow of both the American Psychological Association and the Association for Psychological Science, and was recently honored by being named a Phi Beta Kappa Distinguished Visiting Lecturer for 2006-07. 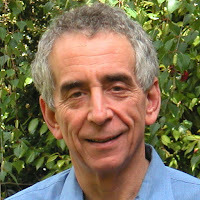 Among Schwartz's older books are two written for general audiences: The Battle for Human Nature (1986), and The Costs of Living (1994), each of which was awarded the prize for outstanding non-fiction book of the year by the Athenaeum of Philadelphia. Barry has published articles on various topics in The New York Times, The New York Times Magazine, the Chronicle of Higher Education, Parade Magazine, USA Today, Advertising Age, Slate, Scientific American, The New Republic, Newsday, the AARP Bulletin, the Harvard Business Review, and the Guardian. He has appeared on dozens of radio shows, including NPR's Morning Edition, and has been interviewed on Anderson Cooper 360 (CNN), the Lehrer News Hour (PBS), and CBS Sunday Morning. He has lectured to audiences as large as 5,000, among them the British and the Dutch governments, as well as trade organizations and businesses representing industries as diverse as healthcare, personal finance, travel and leisure, restaurants, supermarkets, consumer electronics, office supplies, software development, and e-commerce, advertising, arts and entertainment, cable television, home building, and the military. It appears that the "choice problem" is relevant in every corner of modern society.